Hard times can actually provide a period of great emotional growth. While crisis and pain in life may be unavoidable, the way in which we respond to the crisis will determine whether we experience suffering or strength during difficult times. Letting ourselves get swept away by fear will only deter finding a solution to a problem. Fear triggers our stress hormones making it difficult to solve problems and tune into our intuition (for example, your gut feeling) for guidance. Crisis, if managed properly, can bring out the best in people. In fact, it’s during difficult times that humanity often shines brightest and our hearts open the most. Gaining emotional freedom is a liberating experience in our life’s journey. 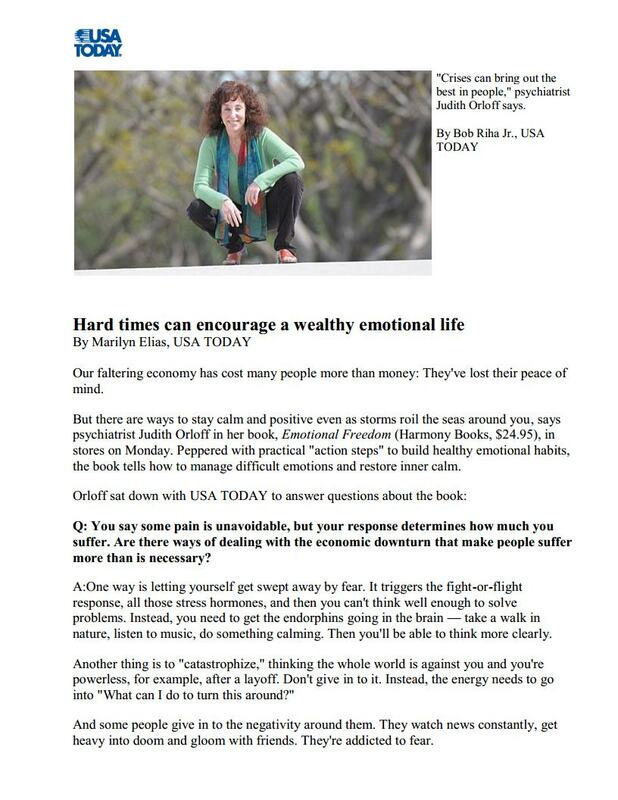 In this USA Today article, I share how to manage difficult emotions and restore our inner calm, as featured in my book Emotional Freedom. 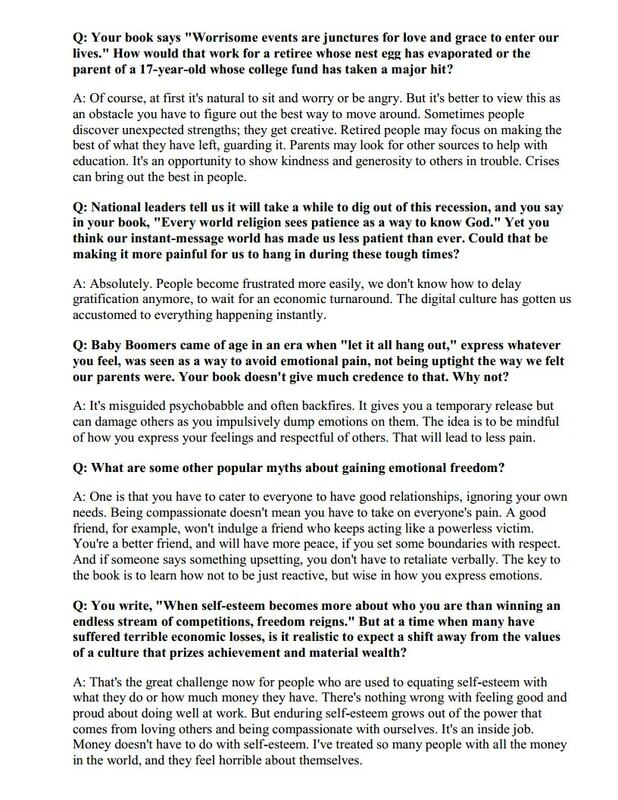 Read the full article on USA Today here.